Moon charting creates a visual representation of the movements of our bodies, emotions, and thoughts throughout the month, so you can clearly see them. You may have been taught to misinterpret these experiences as random mood swings, or to dismiss your feelings as “just PMS.”(https://yogagoddess.ca/powerful-practice-to-overcome-pms/) In fact, your feelings and physical sensations are sacred, and they’re NOT random. Charting your cycle allows you to begin to understand your unique rhythms as just that, rhythms. Plus, moon charting allows you to feel empowered to understand your body instead of feeling like you are at the mercy of your hormones. When you have a clear picture of how your body and mind feel around different weeks in your cycle, you’ll know what to expect from yourself and how to engage with the world around you more effectively. You’ll know what the best week is to start new creative projects, and when to draw inwards and make time for extra rest and introspection. If you’re interested in harnessing the powerful energies of each distinct phase of your cycle, take a look at our four Moon Meditations. We can’t ask for what we need from someone else without first knowing these answers ourselves. When you practice regular Moon Charting, you’ll know when to give your partner that hugely important information of “I’m feeling extra sensitive this week, and I could use more words of affirmation from you.” Our partners and friends can’t read our minds. Practicing giving this kind of information will allow you to actually receive the support you need when you really need it. Connecting to the energies of the moon allows us to tap into our divine feminine cycles, which mirror the natural waxing and waning of the moon. We live in a world of ever-increasing spiritual isolation. This loneliness is especially dangerous to women — we need each other’s support and companionship. We women are taught to feel shame and embarrassment around our menstruation, when it is a truly natural and beautiful thing that unites us on our feminine journeys. When we open our eyes to the divine nature of our periods, we realize that we bleed within a network of global sisterhood. This sisterhood is nurtured and guided by Mother Moon. Having a healthy period is reason to celebrate! Creating ritual around your period allows you to see your bleeding as the divine experience it truly is. When we take extra gentle care of ourselves during this time we can uncover truly wonderful gifts from our menstruation. So make sure to get extra rest and carve out time for journaling and reflecting. Maybe you suffer from painful cramps, heavy bleeding, or an irregular cycle. 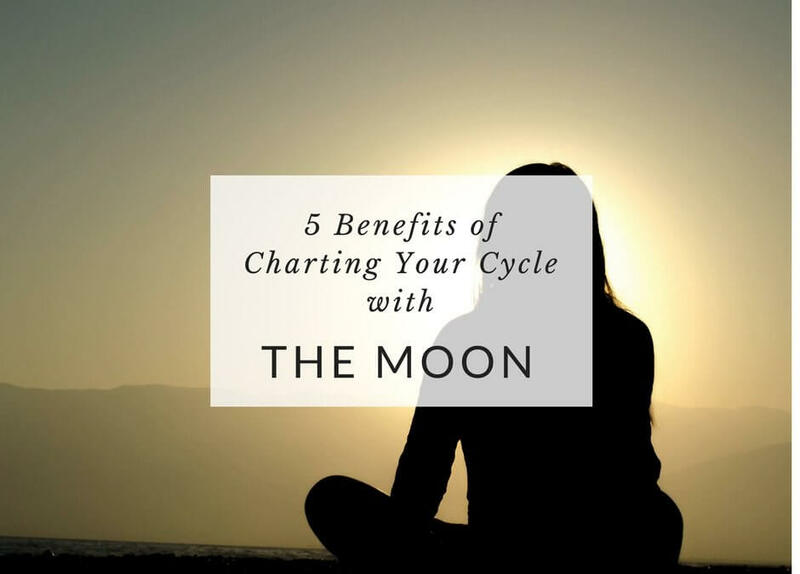 Connecting to the moon and keeping track of these experiences will create balance and harmony within your cycle and help to heal your period experience. When you get in tune with the moon, the gifts of your female rhythms become abundantly clear. 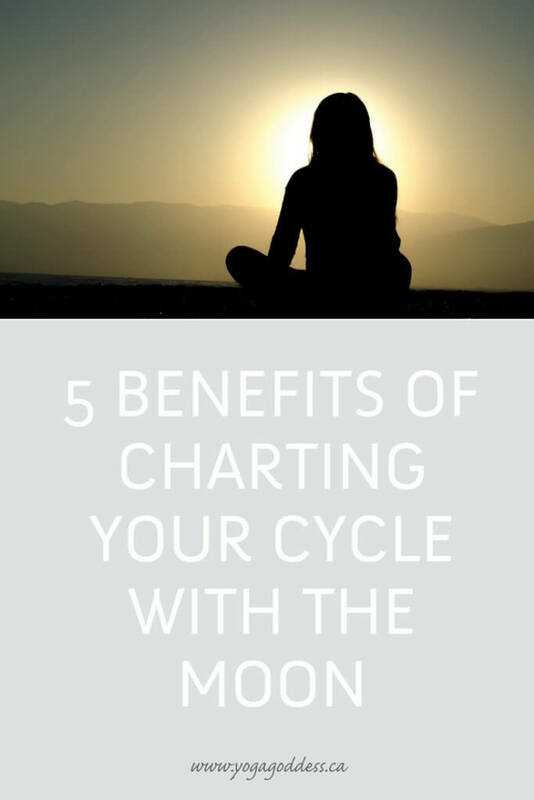 If you feel inspired to dive deeper into your connection to the moon and maximizing the rhythms of your cycle, check out my Moon Charting Mastery program.